From 48€ per night - 34 rooms of 4 types. 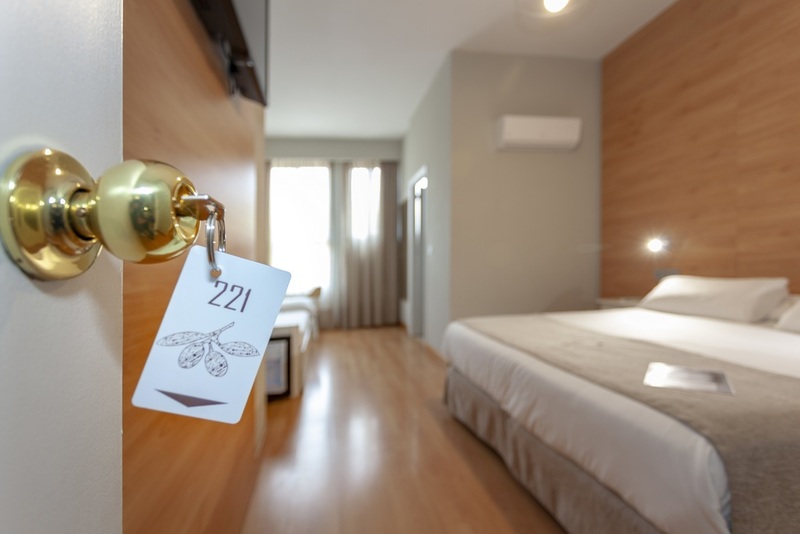 This air-conditioned room includes free Wi-Fi, a TV with internet access and a safe. There is a desk and a private bathroom with a hairdryer and free toiletries. This air-conditioned room has free Wi-Fi, a TV and a safe. There is a private bathroom with a hairdryer and free toiletries. 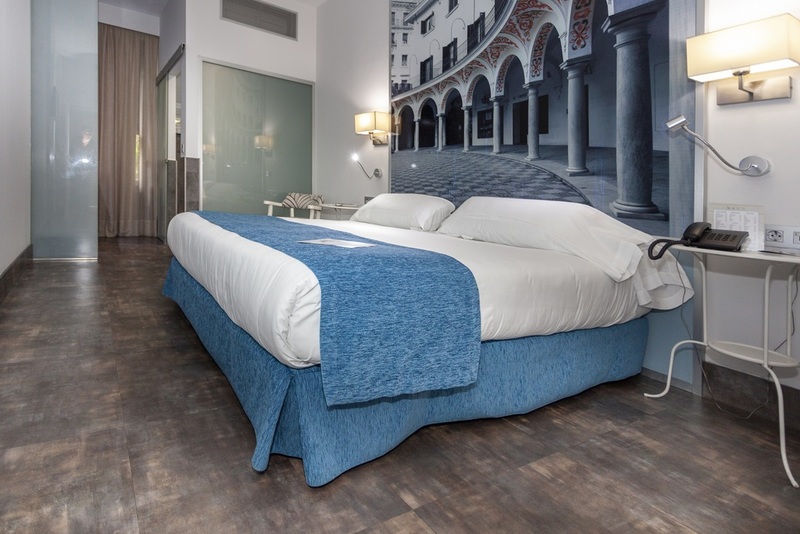 They are rooms with a very modern design and large murals in which represent the main monuments of Seville. This air-conditioned room includes free Wi-Fi, a TV with internet access and a safe. There is a desk and a private bathroom with a hairdryer and free toiletries. The room has a double bed and a trundle bed.